Earlier this week, it was revealed that Samsung had applied for a patent related to an optical in-display fingerprint scanner, suggesting the feature could make its way into next year’s Galaxy S10. However, in a separate patent published the same day, it’s been confirmed that Samsung is already looking into the future of this tech. While the previous patent depicted an implementation similar to current ones, wherein only a portion of the display could be used as a fingerprint scanner, the latest one envisions an advanced full-screen in-display fingerprint scanner that makes use of a separate, low-energy processor. This will be in charge of increasing the screen brightness as soon as a touch is detected and scanning the finger three times to ensure quality. Thus, the new sensor will be more accurate, easier to use, and quicker than the current tech. Moreover, its versatility means that it can also be incorporated into foldable devices. Design-wise, the patent depicts two main formats. The first illustrates a much more traditional smartphone with thicker bezels that resembles Samsung’s devices from years ago. The second one, rather surprisingly, envisions a notched device that matches the Essential Phone and Huawei’s Mate 20 quite closely. While implementing the notch in its smartphones is certainly a possibility, Samsung’s efforts to avoid it over the past year suggest it's very unlikely to happen. Instead, the company is seemingly focusing on other technologies that will eventually allow for the removal of bezels entirely. What about those billions spends on mocking apple’s notch! Shame on Samsung that they will going to notch trends. Maybe they’re losing sales than ever. Looks like they're just trying to sell their in-display fpscanner to notched phones from other manufacturers. Calm down its to sell the tech to other companies As GSMARENA said "Don’t worry about the notch in the image, chances are that Samsung is looking to sell the all-display fingerprint reader to other manufacturers instead of adopting the notch"
Samsung !! No Notch please !! No small/big/wide/thin/Teardrop .... No Notch at all !! Pleaseee !! Let's hope they don't follow such ugly trends!! You know who they follow. It’s going to happen even though I don’t really care for it much either. They won't. We already see they are working and testing an under the screen camera. But that won't appear probably until the S11 or Note 11. So to botch this year and not next would be a crazy move. I dont see them doing it. And we already saw they have a notch patent even before Apple a d still hasn't implemented it. If they do it won't be on an S or Note. After mocking Apple for it if they do it, they will be heavily criticized for it. Because even though Apple mo led and claimed no one wants bigger screens, and that no one gives a crap about one handed usage. They were totally wrong...PERIOD. But the fans aren't gonna bring that up. "Testing" means it may or may not work. You and many other people commenting don't realise that the Samsung under the screen camera isn't going to be a camera under the screen that is invisible when watching video clips, playing games, navigating the screen etc. The patent similar to what Oppo etc have will be a full screen phone practically no bezel but..... and a big but the front camera will still be visible as a small circle near the top of the screen. 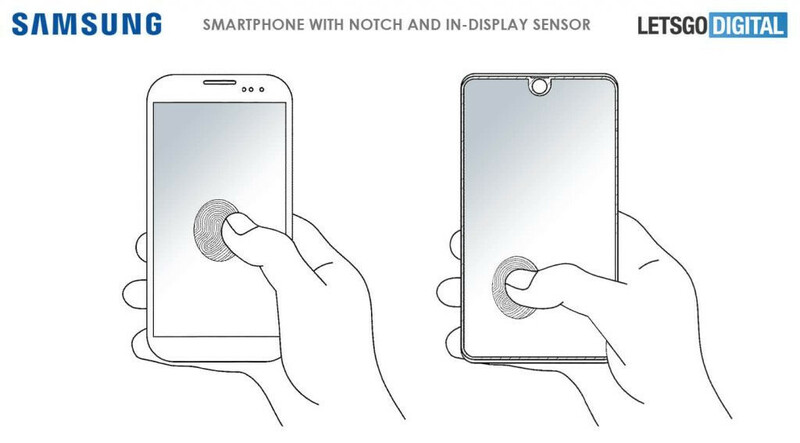 The technology just enables a screen with a small hole in the screen for the selfie camera. Real front camera under the screen that is invisible to the naked eye won't be around for many year's. Might not even happen at all as it is very tricky to get a 12 megapixel + camera under the screen that is invisible to the eye and that can take decent pictures. That's why pop up selfie cameras like from Vivo are more likely for the foreseeable future. I bet they'd save it for the Galaxy S11 after the iPhone goes notchless next year. Joshua, It's funny how new tech is gushed over and valid criticism is squashed and disagreed with until newer more improved tech shows faults of the former. I gave two truthful comments regarding a video demonstration of Huawei's implementation of it's under-screen FPS. Both were rebutted by you. 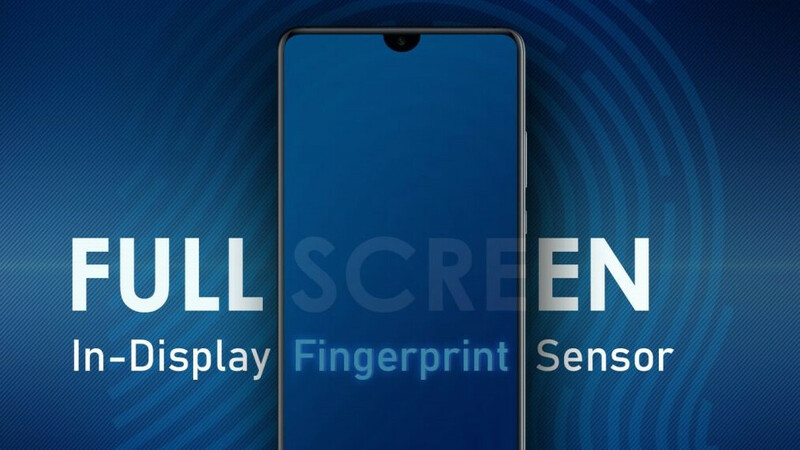 https://www.phonearena.com/news/Huawei-Mate-20-Pro-in-display-fingerprint-scanner-displayed-in-video_id109994 Now regarding this new patent(tech) you write "Thus, the new sensor will be more accurate, easier to use, and quicker than the current tech" This pretty much sums up my point, that the current under-screen tech wasn't necessarily looking(as the demo actually showed) quick or easy. I responded with two truthful comments. I never said that the current tech couldn't be improved upon. Of course it can, there's always room for improvement. That first demonstration you described wasn't an accurate look at the speed of Huawei's implementation because the guy missed the sensor at first, which is why I told you to check out a different section of the video where it could be seen. But I never said it couldn't be faster. You also said that the sensor could be missed, which is obviously true, it happened in the video. But as I responded, if you are using the device constantly you will eventually learn the placement of the fingerprint scanner and it will come naturally to you. But, once again, I never said this couldn't be avoided entirely with better implementations. Cheers Joshua, Thanks for the response and enjoy the rest of the weekend. When people are thinking the same, no one is thinking! Same thing happens to innovation! Hasn't happened yet. But maybe you can slap your face later... we'll see. I love the notch on the iPhone, to me, it’s the only phone it looks good on. I don’t wanna see Samsung do one, I’d rather see them further refine the beautiful infinity display. No one is making the notch look good besides Apple, and on the Pixel 3, it looks plain terrible. yeah it doesn't look good on Android UI. doesn't matter what skin they have, third party apps will always look the same. This isn't the first time PA's posted wolf crying articleslike this: https://www.phonearena.com/news/Samsung-Galaxy-S10-notch-full-screen-patent_id104105 https://www.phonearena.com/news/Embrace-the-notch-Samsung-design-patent-details-display-with-a-sensor-cutout-looks-awfully-familiar_id97783 Until I see an actual phone with a notch I'm calling it BS. Hate to break it to ya bud, but the people have spoken with their wallets. And until the iPhone, Pixel, and Huawei series phones stop selling over a notch, the notch is in. Better get with it or stay in 2016. Make your own notchless phone then. Tech is moving forward, and you can always buy a 2010 phone. yes people have spoken, they are buying those notch phones like never been before and couldn't care less about the notch. Again only people who hate the notch are the ones who doesn't own notch phone.